Questions about Kichler Lighting 5215TZG? 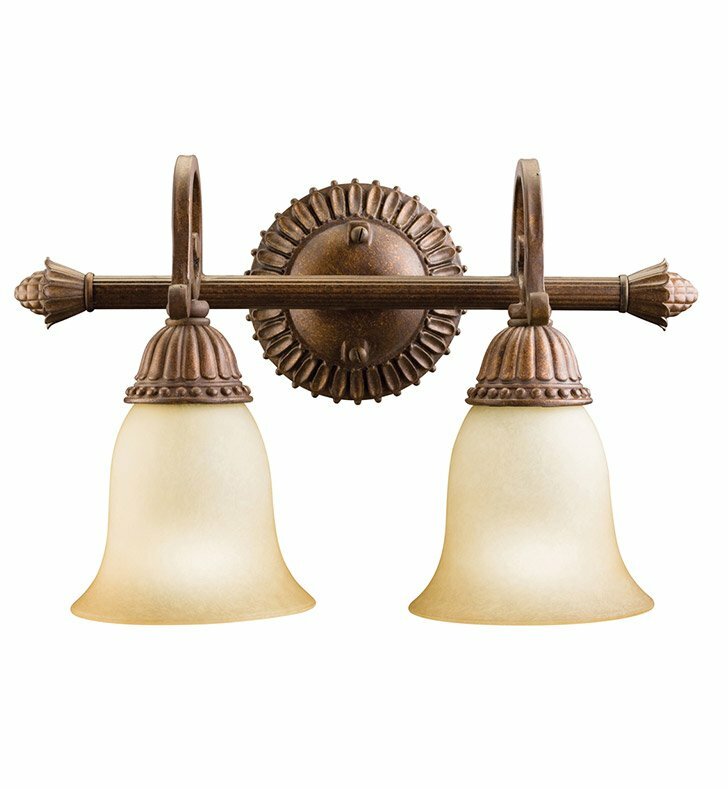 The Larissa Collection captures the essence of classical design, whether it's the hand formed steel with our exclusive Tannery Bronze finish, or the gold accents and citrine glass, it is sure to have elements that appeal to even the most critical of tastes. To create a warm antique look for your home the Larissa Collection from Kichler is all you need. The understated, earthy simplicity of the Larissa Collection now comes to the bathroom with this classic 2-light bath fixture to illuminate your bathroom while providing the style you want. Dimensions: H 10" x W 15 1/2"